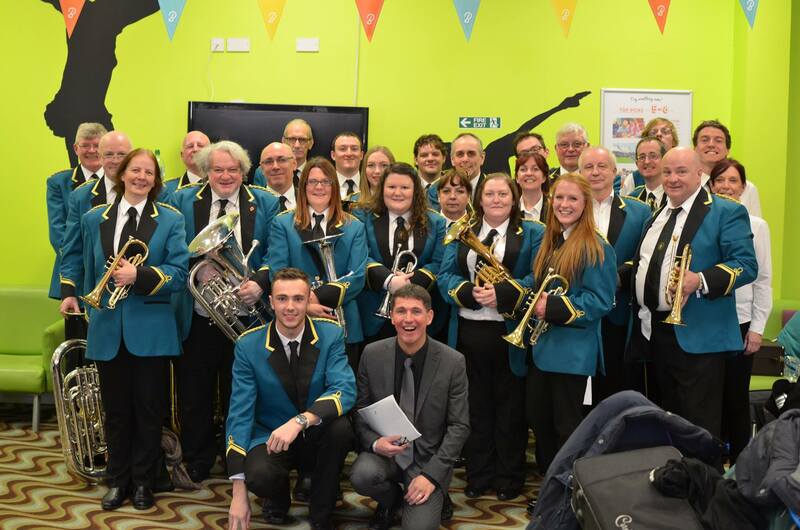 We enjoyed our day out at the areas in Stevenage in March and asked our young member Charlie, to write a review of her first contest with the band. Charlie joined the main band earlier this year, having played with the training band before. Being a typical brass band player, the days leading up to the contest were stressful, nerve racking and exhausting! There were multiple long rehearsals, lots of extra practise and just general worrying about messing up on the day. This made me feel as if I didn’t want to be part of it and it was the only thing on my mind. Despite my part not being very important, I still felt as if my messing up would ruin the whole thing. Standing in the queue waiting to register, sitting in the room waiting to go on, walking on stage, setting up, these were all done with shaky hands, butterflies and sickness. But I guess these were just the usual pre contest emotions, as when the piece started and we began playing, the atmosphere changed; the audience members changed from being judgmental examiners who were marking us, to welcoming people who wanted to hear a variety of different styles of music! This changed the way I played. When feeling nervous I don’t enjoy the music as I concentrate so hard to prevent any mistakes and worry the whole time. So when my nerves changed to excitement, my playing changed into enthusiasm and I really enjoyed it. During my rests I watched the audience to see their expressions and their quiet remarks (which were very positive) which also boosted my confidence! Completing the last few bars and standing to appreciate our applause, there was a great relief and happiness as I knew I had done my first contest and I knew that despite our score, every member played to the best of their ability! And when it came to our results, it proved that all the hard work and stress did pay off, and made me realise that if you view/ approach contests in the right way, they are just like a concert; fun, enjoyable and nothing to worry about!